Trisha’s Salon recently completed upgrading our curb appeal by hiring the team of Jake’s Greenhouse and Clipp Electric, Inc. to design and complete the much needed makeover. Jakes provided the full plant & garden design included in the project and John Clipp Electrical implemented a lighting plan and design that would compliment the plantings and beds. 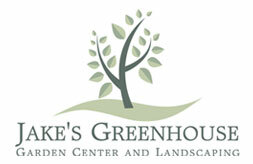 If you need any help we highly suggest contacting Craig at www.jakesgreenhouse.com for any Landscape contractor needs and John Clipp at 484-256-6276 for any electrical or lighting improvements!